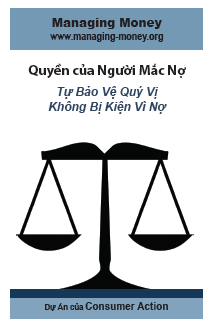 Library: Vietnamese | Debtors’ Rights (Vietnamese) Protecting yourself from debt collection lawsuits. Library: Vietnamese | Improve Your Credit - Put Bad Credit Behind You (Vietnamese) . Library: Vietnamese | Credit Reports and Credit Scores (Vietnamese) . 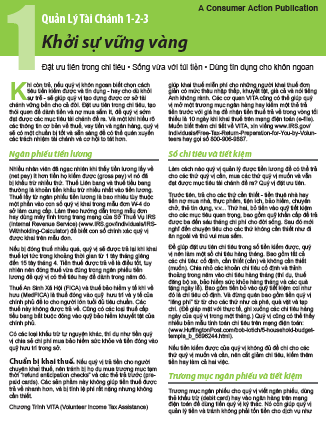 Library: Vietnamese | Consumer Reports and Specialty Reports (Vietnamese) . 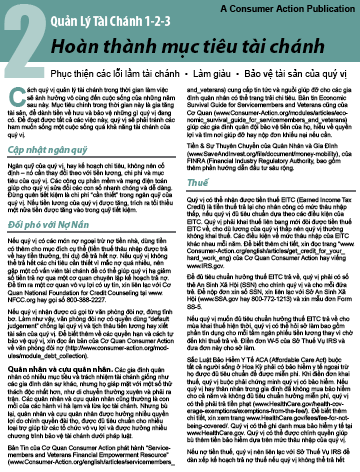 Library: Vietnamese | Credit Cards - What You Need To Know (Vietnamese) . Most people use credit cards—but do they know the terms of the agreement they have with their card issuer. This brochure is designed to help readers understand the different types of cards available; sort through offers to choose the card that’s right for them; understand credit card terms and conditions, and avoid fees and penalty rates. Library: Vietnamese | Good Credit - Build it and keep it (Vietnamese) . Library: Vietnamese | Families and Credit Cards (Vietnamese) . Library: Vietnamese | Recognizing Credit Card Fraud (Vietnamese) . 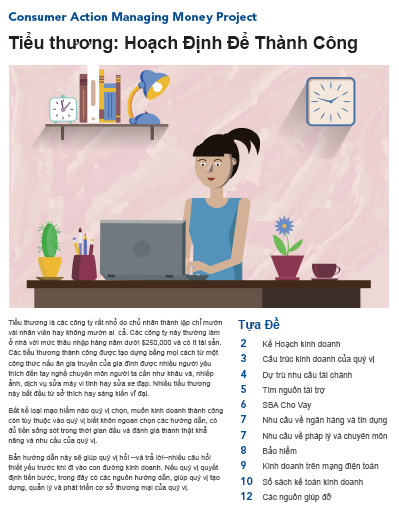 Library: Vietnamese | Understanding Your Credit Score (Vietnamese) . Your credit score is a “snapshot” of your credit history that is used by lenders, insurers and others to assess your creditworthiness and the likelihood that you will pay your bills and repay outstanding loans. This publication explains how to learn your score, how to interpret it and how to maintain or improve it. Library: Vietnamese | How to send money home (Vietnamese) Tips for transferring money overseas. Many immigrants send some of their earnings to relatives and friends in their home countries. There are several ways to transfer money overseas. Library: Vietnamese | California Car Buyer’s Bill of Rights (Vietnamese) . California car buyers have important new rights beginning July 1, 2006. The Car Buyer’s Bill of Rights will change the way millions of cars are bought and sold in California. 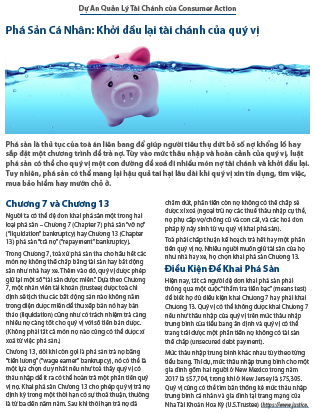 Library: Vietnamese | Poor Credit means Higher Interest Rates - How to avoid bad loans (Vietnamese) . This brochure addresses “subprime” loans offered to people with credit problems. While consumers with poor credit can find fairly priced mortgages, car loans and credit cards at higher-than-average rates, this population is easily victimized by very bad deals called predatory lending. This brochure covers illegal lending practices, warning signs of bad loans, how to avoid becoming a victim, filing a compaint and resources for advice and assistance. Library: Vietnamese | Giving Yourself Some Credit (Vietnamese) . An illustrated fact sheet describing what credit is, how to obtain it, and how to use it. Also describes credit ratings, credit bureaus, and the importance of consumers periodically reviewing a copy of their credit report for accuracy. Explains the Equal Credit Opportunity Act. 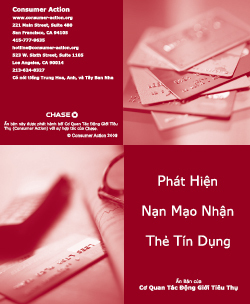 Library: Vietnamese | California Immigrants and Credit (Vietnamese) . Bài hướng dẫn giải thích tín dụng cho người di dân California: phương cách đạt tiêu chuẩn để lấy tín dụng, cách sử dụng đúng đằn, và phương cách tránh vấn đề xảy ra với tín dụng. Bài viết giải thích các cơ quan cho tín dụng, lý lịch tín dụng, cơ quan báo cáo tín dụng, mánh lới lường gạt và lạm dụng. Bài viết cũng đính kèm một bảng chú giải danh từ tín dụng và các nguồn hướng dẫn trong cộng đồng.